Through Baby Coming Home, you have access to a distinctive grouping of carefully selected Newborn Care Specialists. Also, if your little one needs many hours of quality care, or if you are having multiples, Baby Coming Home can provide you with a team of newborn care specialists that can deliver that special care you are looking for. They work together with special skill sets, giving your little one(s) a continuity of care that will have him (or them) making great progress in an optimal amount of time. When it comes to the care of your new, precious treasure, you want the best! In these changing and uncertain times we live in, when it comes to your little treasures, the trust factor is often very difficult to find. With Baby Coming Home, you can rest assured with the quality of newborn care specialists we send you! Baby Coming Home works hard to find the right "fit" for you among the newborn care specialists we use, to meet your needs and expectations, and to "be a gentle presence in you home"
You pay as you go, twice monthly, with our office fees rolled into the hourly rate you are charged on your invoice. No surprise fees or extra invoices. No payments due for the time you requested, but did not need to use. 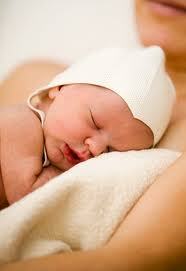 Baby Coming Home offers you the services of quality newborn caregivers - with experience and expertise. What you need, not what you do not need! Baby Coming Home accommodates your need for extra help. With Baby Coming Home you can have additional newborn care specialists, when an intense schedule warrants it. If you require help for more than 14 hrs. per day, or help 7 days per week, or 24/7 help, we can offer you two or more newborn care specialists. Not only when you initially request our newborn care services, but also while you are using our newborn care specialists, Baby Coming Home stays in contact with you and your caregiver, to tweak things as needed. Our goal: to work ourselves out of a job! We take the stress out of those first days with your baby at home, finding the right caregiver for you family, who will help take care of your newborn. When there is that rare incompatibility problem with a caregiver helping you, you just call us to provide a better fit for you. We can help you avoid difficult confrontations in your own home during this very special time in your lives, and help find a better fit for that caregiver elsewhere. You can always know that the Baby Coming Home team is safe, skilled, and trustworthy, that each one is regularly reviewed by us, and that we intervene always when you let us know there are difficulties. We are always available to you and your newborn caregiver at any time you need us. Baby Coming Home provides you with easy and fair forms of payment! Baby Coming Home seeks to make your payments predictable, understandable, simple, and convenient to you. You do not pay for the all weeks you initially booked; only for the time you actually use. There are no "early termination fees!" Baby Coming Home invoices are sent out the 15th and last day of each month; with payment due within 10 days. Why Choose Baby Coming Home? Baby Coming Home will be with you and your newborn every step of the way, for all you need - from your first phone call with us, till your newborn is well on his way! When you schedule a newborn care specialist through BABY COMING HOME, you do not merely receive a caregiver in your home to help with your baby, you receive BABY COMING HOME'S highest standard of worry-free newborn care for your little one. Once the arrangements have been made with Baby Coming Home, click here to Pay Registration Fee.